This magazine covers film, video, television and contemporary music. It provides in-depth editorials on top personalities, events and developments current in the world of entertainment. Us Weekly’s readers are young, educated and affluent adults compelled by breaking celebrity news, Hollywood style and the best in entertainment. They focus on celebrities’ style, health and beauty routines, nutrition and fitness advice, and even the vacations of their favorite stars. The Us reader is interested in the film, television, and music industries, as well as fashion-forward trends and the inside entertainment scoop. Hot Bodies: The annual Hot Bodies issue scours Hollywood for the best bodies in the business. Us Weekly’s unique perspective and insider access delivers the stories on Hollywood’s hottest celebs, and the nutrition, style and figure-fixer secrets behind the looks. Celebrity Style: Reinforcing authority on style, beauty, and all things celebrity, Us Weekly brings you our Celebrity Style special issue – the ultimate guide to chic star style. Us Weekly celebrates celeb style at its most inspiring – from the dresses that have launched a thousand careers, to the style faux pas that will live infamously in history. Celebrity Style will give readers the inside scoop on the clothes, designers, and signature touches that create star-caliber looks. Hollywood’s Best Diets: Even celebrities struggle with over-indulging during the holiday season. Us Weekly’s Best Diets issue features the stars that look particularly great come January, and divulges their secrets to staying healthy and fit. Plus, star menus, food planners and advice from top celebrity trainers. Awards Night: Red Carpet coverage is central to Us Weekly’s editorial mission. Reporting on 18 award shows a year, and with pre and post coverage of every major awards event, Us Weekly delivers exciting multi-faceted cross-platform marketing opportunities that extend your message from online to broadcast. Red Carpet: what’s the new dress craze this week? Hot Pics: need we say more? Each issue is picture-packed with hundreds of photos, documenting the latest news on your favorite celebrities. It is the perfect blend of photography and text for those interested in the celebrity lifestyle. 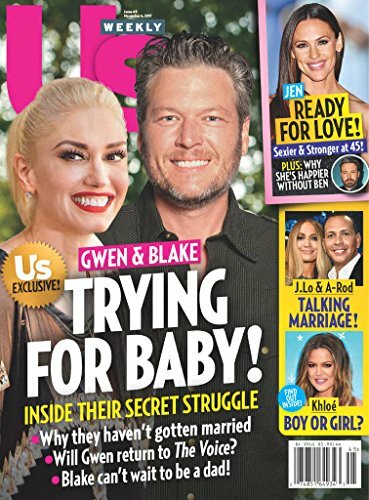 Us Weekly is the magazine that keeps the closest watch on the ever changing and ever exciting entertainment industry, unlike any other magazine. It takes you backstage at awards shows and sneaks you into celebrity parties. Us Weekly peers into the minds (and dressing rooms) of the biggest stars, and escorts you around the world to see exactly where and with whom the hottest names in entertainment have been hanging out. 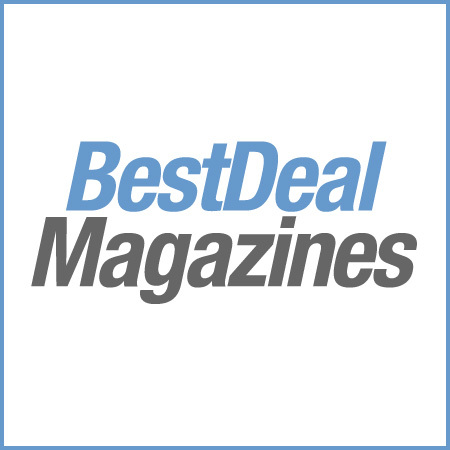 Us gives you more access than any other magazine on the newsstand. AdWeek Hot List, 2005, 2006, 2007. Top Performer of the decade, 1996-2006.